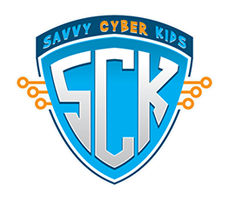 Read The Savvy Cyber Kids At Home Book Series! Introducing the Savvy Cyber Kids Super Heroes, Cyber Thunder (Tony) and Cyber Princess (Emma)—here to deliver online safety messages to kids ages 3-7 years old. Enjoy this free flipbook of Book 1 of the Savvy Cyber Kid’s award-winning children’s picture book, The Savvy Cyber Kids at Home: The Family Gets A Computer. Learn more about the Savvy Cyber Kids at Home Book Series and buy the books with the links below. Don’t forget to download the free activities for Book 1 and Book 2! Text copyright ©2014 Ben Halpert. Illustrations copyright © 2014 Savvy Cyber Kids, Inc. No part may be reproduced or transmitted in any form or by any means, electronic, mechanical, photocopying, recording, or otherwise, without express written permission of the publisher, Savvy Cyber Kids, Inc.
Purchase the Savvy Cyber Kids at Home books!